In the early years, 1929-1949, when smaller units of land were amalgamated into larger economic holdings with the government providing capital funding to do the development and the Department of Maori Affairs undertaking a supervisory role, our blocks were included with others within our rohe under the Taheke 3D Incorporation. On 22 January 1954 Taheke 3D Incorporation was wound up and two successors were created, The Proprietors of Taheke 8C and Adjoining Blocks (Inc) (‘Taheke 8C’) and The Proprietors of Okere 1B No.3C, No.3 and Adjoining Blocks (Inc). In June of 1954 the lands included in the Taheke and Okere Development Schemes were formally released from the control of the relevant legislation by the Department of Maori Affairs.  Taheke 8C was established with a residual debt from the earlier development work. As a result, despite being released from the control of relevant legislation the incorporation was still subject to departmental oversight. At this time there were still considerable areas in native bush to be cleared and brought into development. It was a long, difficult and slow process. Development could only be undertaken in stages based on available developmental finance. These amounts were dependent upon the loan repayment capability of the incorporation which in turn was dependent upon the income generating capacity of the incorporation from farming activities. An added difficulty was the fact that the farm was dissected by the Okere River and had few flat areas to conserve for supplementary feed. 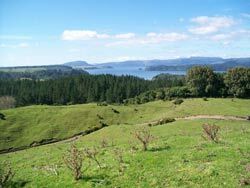 The grazing arrangements on the neighbouring blocks, Ruahine 1A and Taheke Papakainga 20 & 30 Blocks were of considerable help in maintaining the viability of the farming operations until the return of that land to the owners. In the 1980s facing threat of take-over by Te Tira Ahu Iwi (now known as Te Puni Kokiri), the incumbent committee, after considering their options, decided to allocate the undeveloped and more difficult areas to farm into forestry and taking up the option of capitalised rentals. The CoM also entered into a mining agreement for sulphur in 1986 however this has not continued as the potential viability of the resource is still to be proven. The funds received from the reorganisation of the farming operation together with the capitalised forestry rentals were applied to repay the loan from the Department of Maori Affairs and in 1994 the Incorporation was released from departmental supervision. These steps enabled the Incorporation to hold the land and make steady progress over the past 50 odd years especially given the difficulties and hurdles successive committees have had to face. There is no disputing that over the last three to five years the outcomes from pastoral farming have provided a mixed bag of results due to: Climate Change, Product returns varying from extreme highs to record lows, changes to lease and running costs. Despite the reduced scale, Taheke 8C sheep and beef operation has set goals to achieve best returns for stock while maintaining stock feed levels and managing costs. Additionally regular repair and maintenance schedules ensure optimum performance and long life of all farm property. Taheke 8C Forest consists of 549 hectares of Pinus Radiata managed under three Forestry Right Agreements between Taheke 8C and the Ontario Teaches Pension Plan New Zealand Forest Investments Limited. The Forestry Right Agreements cover one rotation. Planting occurred from 1985 to 1987and planning for harvesting the trees commenced in 2009. Clear fell operations commenced in 2010 and harvesting will continue to 2015. As at 30 September 2010, 69.9ha had been harvested. As the areas are harvested the relevant blocks of land will be returned to the incorporation.